In Friday 24th January 2014 issue of Le Seychellois, the SNP mouthpiece has once again tried to pass the buck on the disaster of the Public Orders Act 2014, and its stray from the intent of the Electoral Commission/Reform Committee intent. This time, Le Seychellois is calling on the Election Commission to pronounce itself on the ACT which has made numerous severe detours from the recommendations submitted by the Election Reform Committee made up of all political parties, but later, boycotted only by the Seychelles Freedom Party.
" "B" Means Vulnerable St.Ange, How Will Loading This Increase Tourists? " "SFP Exposes Human Trafficking In Seychelles- UN Expert Coming"
GENEVA (23 January 2014) – The United Nations Special Rapporteur on trafficking in persons, especially women and children, Ms. Joy Ngozi Ezeilo, will conduct an official visit to the Seychelles from 27 to 31 January 2014. “I would like to better understand the situation of trafficking of persons in the Seychelles, especially that of women, children, as well as men, and assess the State’s response to counter trafficking,” said Ms. Ezeilo. A senior World Bank official has praised the Seychellois economic reform programme and governance system, saying Tuesday that these should be taken as models to be emulated by other countries.World Bank executive director for Africa Group 1, Denny Kalyalya said after meeting Seychellois President James Michel at State House in the capital Victoria that the Indian Ocean nation’s economy was doing well and generating several jobs. “He said that Seychelles has a lot to share in terms of good governance with other World Bank member countries, particularly the success of its economic reform programme,” the Seychellois State House said after the meeting on Tuesday. Jan 21st 2014, 11:23by C.W. | LONDON A NEW World Bank paper* paints a rather depressing picture of global poverty. From 1993 to 2008 the average per capita income of sub-Saharan African economies barely budged—it increased from $742 to $762 per year (measured in 2005 purchasing-power parity-adjusted dollars). 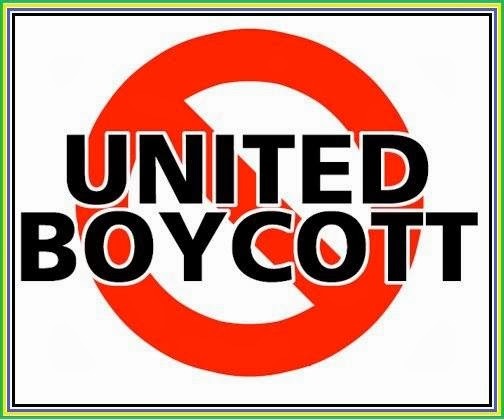 If we exclude South Africa and the Seychelles, we see a decline from $608 to $556 over the period. The graph below is even more worrying. The authors divided the world distribution of income in 1993 and 2008 into 20 income groups, or “ventiles”, each representing 5% of the world population. The groups get richer from left to right. Between 1993 and 2008, countries like India and, especially China, shift to the right. By 2008 China completely left the poorest 5% of the world’s population. But sub-Saharan Africa shifted to the left. Whereas in 1993 about 25% of the world’s poorest 5% lived in sub-Saharan Africa, by 2008 it was nearly 60%. After two decades of double-digit increases in the military budget, China's admirals plan to develop a full blue-water navy capable of defending growing economic interests as well as disputed territory in the South and East China Seas. The country's first aircraft carrier, the Liaoning - a Soviet-era ship bought from Ukraine in 1998 and re-fitted in a Chinese shipyard - has long been a symbol of China's naval build-up. More Rehash Press Release Someone Lost The Marbles?? In a bid to tap into growing tourist numbers, Hilton Worldwide has opened its 30-room Double Tree by Hilton Seychelles-Allamanda Resort & Spa. This is the Group’s third resort in the Republic of the Seychelles. Claus Steiner, cluster manager of the Seychelles Hilton Worldwide welcomed guests to the property in the presence of Alain St Ange, Seychelles Minister responsible for Tourism and Culture, Sherin Renaud, CEO of the Seychelles Tourism Board, PS Steve Fanny, Ambassador of the Russia, and Consuls representing Germany, Mauritius and Indonesia, John Stravens, Chairman of the Seychelles Hospitality & Tourism Association and local Destination Management Companies. Alain St.Ange, the Seychelles Minister responsible for Tourism and Culture, leaves Seychelles today, Monday, January 20, to join Bernadette Willemin, the Seychelles Tourism Board Director for Europe at FITUR 2014. FITUR is the International Tourism Fair of Madrid, and it will be celebrating its 34th edition this year from 22-26. FITUR is the global meeting point for tourism professionals and the leading trade fair for inbound and outbound Ibero American markets. "Seychelles has been present at this tourism trade fair for many years, and I will be accompanied at FITUR only by Bernadette Willemin, our Director for Europe who is based in Paris. Members of the private sector will also join us on the Seychelles stand at this fair," Minister St.Ange said. "Movie Drive In When Youth Have You-Tube No Car"
After months of planning by the Designated Minister Vincent Meriton, the Minister responsible for Community Services, Minister Alain St.Ange, the Minister responsible for Tourism and Culture and by Minister Christian Lionnet, the Minister responsible for Land Use a movie 'Drive-In' and relaxation spot by the sea was opened last November managed by the Ministry of Tourism and Culture. This facility that is situated on prime land right on the sea and adjacent to the Beachcomber Sainte Anne Resort Jetty at Roche Caiman was designated by the Government to become a secure open-air recreational area for the people of Seychelles. The the designated area was covered with bitumen and adequate lighting installed by the Land Transport Department before public toilet facilities and a small administrative centre was constructed. "Breaking News From Last Week Today from Seychelles Government" Hic, Hic! Air Seychelles, the national airline of the Republic of Seychelles, today signed an agreement with the Vanilla Islands Organization to increase visitor numbers to the Indian Ocean. Under the strategic marketing agreement, the signatories will invest in a range of cooperative programs and products to attract visitors to the Indian Ocean from Africa, Asia, Europe, and the Middle East. Air Seychelles and the Vanilla Island`s marketing messages will be maximized in the partnership and both organizations will benefit from enhanced presence on each other`s marketing materials. Signing the Memorandum of Understanding (MOU) at the airline`s new Fixed Base Operation (FBO), Air Seychelles VIP, at Seychelles International Airport, were Cramer Ball, Chief Executive Officer of Air Seychelles, and Pascal Viroleau, Chief Executive Officer of the Vanilla Islands Organization. Forensic consultant Paul O’ Sullivan spent eight years relentlessly investigating former police chief Jackie Selebi. As Selebi’s trial drew to a close in 2010, the apparently indefatigable Irish expat began focusing on his next project – toppling the extensive criminal empire of one of the most dangerous criminals in the country, Czech-born fugitive Radovan Krejcir. This week, four people were arrested in Johannesburg for plotting to assassinate O’Sullivan, Colonel Nkosana “Killer” Ximba (who arrested Krejcir in December) as well as other members of a Hawks special task team investigating Krejcir. On 10 September 2010 at around 6.30pm, Paul O’Sullivan was in Dublin when he received a call on his cellphone. He answered in his usual manner: “O’Sullivan, good day.” The caller at the other end paused momentarily before speaking. Two prominent Saudi princes believed to be involved in a London-registered company that allegedly facilitated “money laundering” for Hezbollah are at the centre of a major court battle that is about to hit London’s High Court again. The High Court is gearing up to hear a series of allegations against two Saudi princes who are accused of funding Hezbollah by fraudulent means. London is continuing to attract complex international cases, underlining its place at the top of the litigation table. It is the story of two Saudi princes, a telecoms company, alleged funds channelled to Hezbollah and a row over the suppression of vital documents in a battle that would rival that of Kazakhstan’s JSC BTA Bank’s dispute with Muktar Ablyazov (6 February 2012). Two Saudi princes – two of the most prominent Sunni Muslims in the world – face allegations of facilitating money laundering for US-classified terrorist organisation Hezbollah through a business in which they were shareholders. 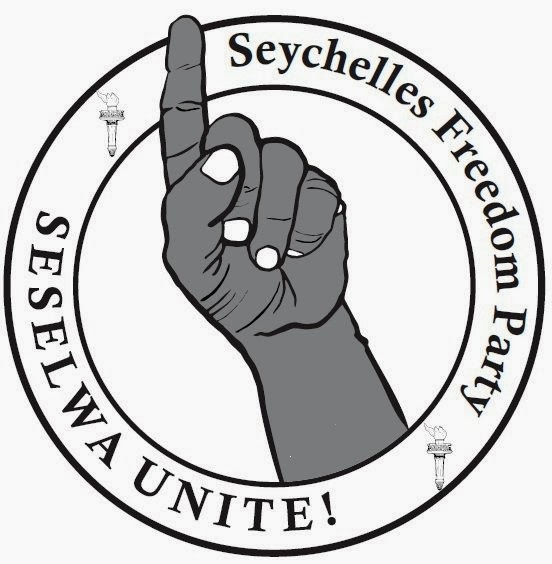 China woos Seychelles, SFP Says No Way! "Is It Real St. Ange?" Happy New Year To All Freedom Loving Seychellois!